from 1986 to 2009 Erk Männer-Vocal Ensemble Berlin, Germany. For a larger view click on the pictures. 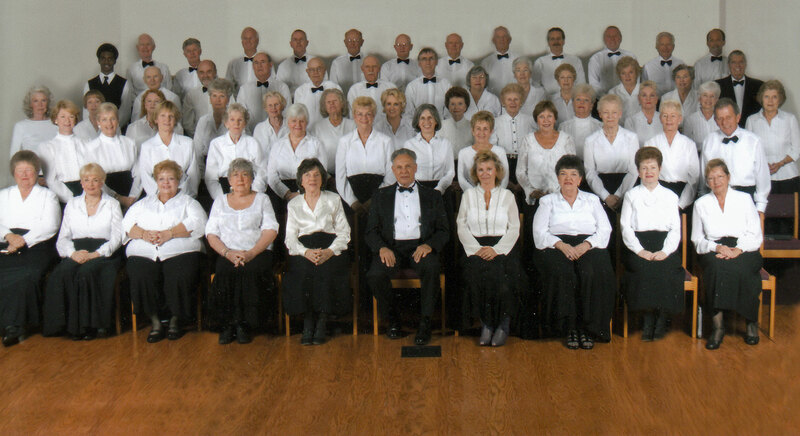 The Meadows Chorus was organized in January, 1990 by a group of Meadows residents who love to sing. 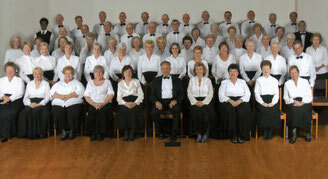 Since that time, the Chorus grown from about 25 men and women to 70 members annually. 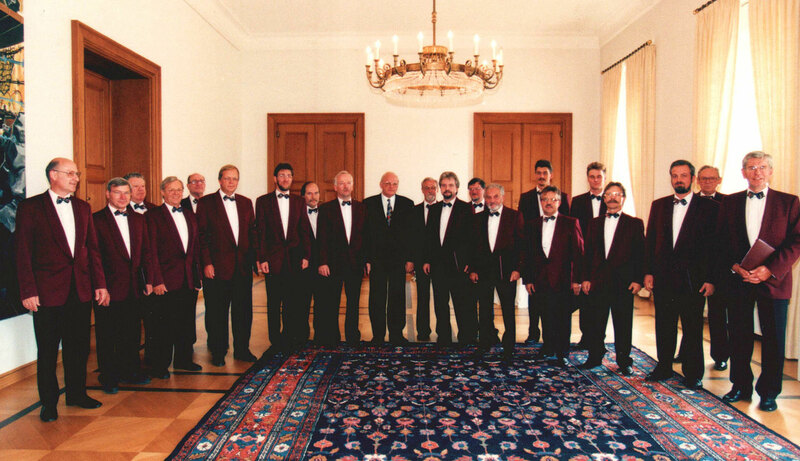 The Erk Männer-Vocal-Ensemble Berlin was in the tradition of the glee club, founded by the folk song researcher and music pedagogue Ludwig Erk in 1845. 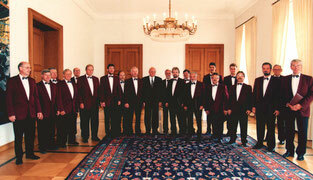 At the beginning of the last century, the oldest men's choir of Berlin, counted over 250 active singers. The history of the chorus isn't unbroken. The two World Wars, the confusion of the post-war period and the construction of the Berlin Wall up tore the community severely. In a chamber music formation it formed again under the direction of Michael Uhl in 1986. The ensemble was active until 2009 with an independent repertoire, which included sophisticated choral works from folk songs to classical music and modernity.